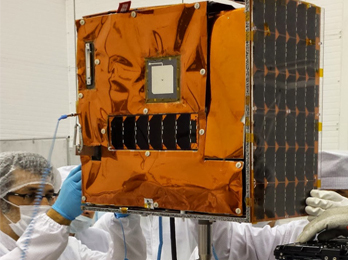 BugSat-1 is the first technology demonstration mission for a platform of earth observation satellites. As payload on this mission, some custom designed components will be tested: three antennas, a mid-resolution camera system, a GPS receiver, a UHF radio based on COTS components and a C-Band radio based in COTS components designed for IEEE 802.11a ground operation. The satellite will periodically and autonomously transmitting AX.25 packets for the Amateur radio community to receive in the UHF band, and after the first part of the technology demonstration part of the mission is over, the satellite will enter a mode that will include a Digipeter and science data downloads from the payload for the amateur radio community to use.